Since 1993, Jeanne Coughlin, president of the Coughlin Group, Inc. has been a catalyst for the prosperity and success of privately-held and family businesses. She does this through a practical business planning method called CG one™, which gets the business owner and their team moving in one positive direction, with one vision, working from one simple, actionable and measurable plan. 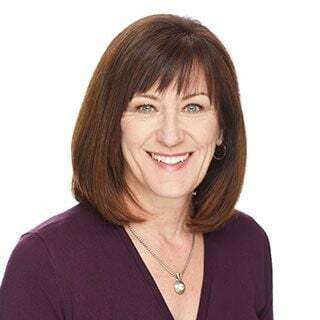 Jeanne has the prestigious professional designation as a Certified Facilitator of Peter Drucker’s “The Five Most Important Questions.” In addition, she is a certified Stages of Growth Strategist and licensee of the One-Page Business Plan and Performance Management System™. Jeanne has also received the designation of Certified Professional Behavior and Values analyst. Jeanne is author of the book, The Rise of Women Entrepreneurs: People, Processes and Global Trends, (Greenwood Publishing), which received the “Featured Book Recommendation” from the Harvard Business School’s Working Knowledge Group. As an accomplished public speaker, Jeanne has addressed numerous professional and trade associations and had the honor to speak at the prestigious City Club Friday Forum, the oldest free speech forum in the United States. Jeanne is the Chair and Facilitator for the Cleveland chapter of the WPO, a peer advisory group for entrepreneurs. Jeanne is a past Chairman of COSE (Council of Smaller Enterprises) which with over 15,000 members is one of the largest small business organizations in the country. Jeanne is on the board of JumpStart and serves as a mentor for the Burton D. Morgan Mentoring Program. Jeanne is a former Chairman of COSE (Council of Smaller Enterprises), and board member for GCP (Greater Cleveland Partnership). Jeanne also served on the boards of Team NEO, NSBA (National Small Business Association) and Mercy Hospital. Jeanne is Chair of the Cleveland chapter of WPO; Women Presidents Organization, a peer advisory group serving second-stage, women-led, multimillion-dollar companies. She is a graduate of Leadership Cleveland and was selected as a Women of Note by Crain’s Cleveland Business. Certified Facilitator of Peter Drucker’s “The Five Most Important Questions"